Is Microsoft's dominance being eroded? Since the first model launched two years ago, Google's Chromebooks have been maturing into an increasingly successful series. Last Christmas saw Amazon announce a pair of Chromebooks as two of the three best-selling notebooks of the US holiday season and they now make up more than 20 per cent of notebook sales to businesses in the US, matching sales of tablets. We are now seeing this same trend continue in the UK. The last six months has seen a significant increase in deployments of Chromebooks in both commercial and public sector organisations, including the large Chromebook deployment by Ancoris at London Borough of Barking and Dagenham. With this in mind, we quizzed Ancoris MD David McLeman as to why he believed the device is growing in stature in the B2B market. 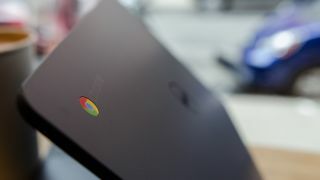 TechRadar Pro: Why are Chromebooks proving so popular with businesses as a replacement to traditional Windows PC's? David McLeman: Employees are already familiar with Chrome as it's actually the number one browser in the world, with 750 million users and 43% global market share as of March 2014. Web statistics show that when employees have a choice - on weekends for example, they choose Chrome. So why should employees stop using their preferred browser during the week, especially as studies show that employees are 15% more productive when they get to choose the browser they use? In the future, the browser will become the dominant application platform on all types of devices and we are increasingly seeing businesses turn to the browser as the common, underlying technology for distributing and accessing applications. This is very useful in a heterogeneous environment as all of the major platforms for all form factors have a browser. Thus, deploying applications through the browser creates a true write once, run anywhere model. Because browser-based applications store data and preferences on servers or in the cloud, users can access all of their applications and data from any device, instantly. This makes life much better for users who are sharing terminals or using multiple devices. Increasingly we expect a user's entire desktop to be browser-based and follow them to any device. Already Google Chrome will centrally store a users applications, preferences, bookmarks, etc and bring those preference to the user on any device. The browser will allow your entire computing environment to follow you to any device. The fundamental concept behind Chromebooks is that all your applications are being accessed through the browser. There is no application on ChromeOS but the browser - the OS is only intended to connect users to browser-based applications. Chrome was designed to take away anything that comes between the user and their web application. ChromeOS takes that concept to the OS - the user doesn't have to think about anything but their work, making them more productive. TRP: How is the Chromebook changing perceptions among business leaders about which devices to give to their staff? DM: Just as the iPad did earlier, the Chromebook is changing perceptions among business leaders about device choice for their staff. The old dependence on Windows PCs as the sole device for all users is a thing of the past for most organisations. Along with tablets, Chromebooks will increasingly become a valid device choice for teams or departments as they seek to provide simple, secure, low-cost and easy to manage access to both new web applications and legacy systems, unless a specific application forces a Windows decision. Even where business leaders can't see a full migration of all their users it's difficult not to see the benefits of a cheaper, more easily managed, secure device where teams don't need more complex software.